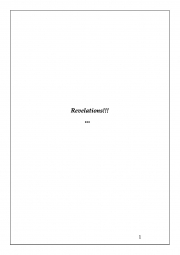 Description of "My Revelations of Truth (eBook)"
It's about truth and author's revelations with deep insights. It helps you reflect and understand his insights with a message in every poetry that will exuberate truth! Reviews of "My Revelations of Truth (eBook)"